After falling short of my goals for 2018 (see this post for details), I’m almost wary of setting any for this year. But without goals, it’s easy to let things slip, so here are the things I hope to achieve over 2019. I should have the new version of Dark Glass out by the end of February, and then I can start marketing the whole series. I intend to run Amazon Ads (to drive sales on Amazon, obviously), Bookbub (to target other retailers, like Kobo and iBooks) and Facebook (to encourage mailing list sign-ups). Obviously, with Dark Glass being a permafree title, I’ll have to monitor read-through closely to calculate how effective the ads are. I also plan to release a box-set of the first three Dominions novels, and use ads for this too. 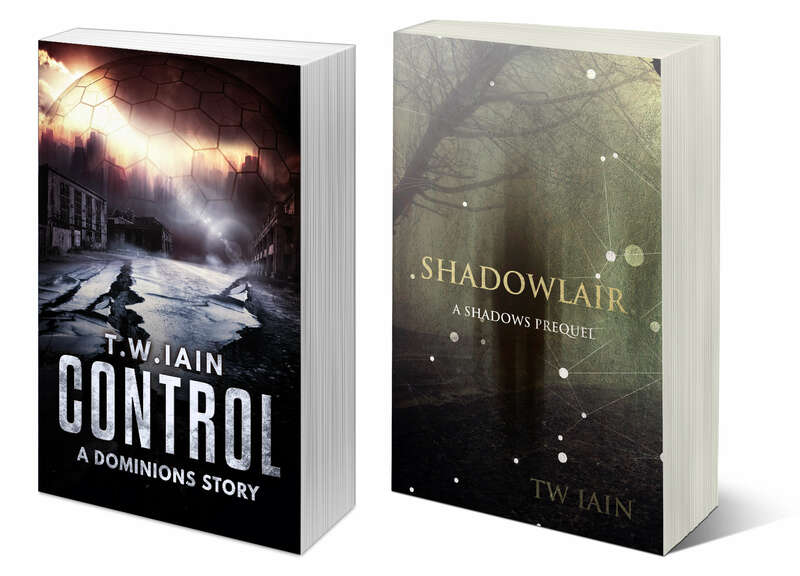 If the writing of the next Dominions books goes to plan, the box-set will probably come out over the summer. I’ve always viewed Dominions as a series of trilogies. The first followed Rodin’s journey of self-discovery, but dropped hints about a larger story involving the Domes and Authority. The next trilogy (which started with Riled Dogs (Dominions IV)) is wider in scope, following more characters as plans slowly unfold. I’m pulling ideas together at the moment (and re-reading all the Dominions books has helped here), and I aim to release Dominions V and Dominions VI, along with another short story, around summer/autumn time. I’m getting new covers done over the summer, and I’ll pull these books from Kindle Unlimited before this so that I can do a re-release/re-brand while going wide (running ads, reducing the price of the first book for a limited period, and so on). Out of all my books released so far, I feel this series has the strongest writing and tightest storytelling, so I want to give Shadows a big push. When I first put out my ebooks, there was so much to learn, so much to take on board, that I pushed paperbacks to one side. But this year, I intend to put out physical copied of as many books as I can. I’ve been learning about paperback formatting‌—‌even if I eventually hire someone to do this, it’s still important to know the basics. I’m getting new Shadows covers (including for paperback). And for Dominions, I’ll investigate Draft-2-Digital’s paperback service, which apparently can extrapolate a paperback cover from the e-book version. I’ve recently purchased Dragon Naturally Speaking, and I fully intend to be dictating most of my fiction by the end of the year. There are a few reasons for this. It’s faster. At the moment, I can type around 1500 words in an hour when I’m ‘in the flow’, but statistics I’ve read suggest that dictation potentially speeds this up to 5000 words per hour‌—‌a couple of half-our sessions will give me more words than three hours of typing. It frees me up to ‘write’ all over the place. Especially with transcription, I could be ‘writing’ while doing stuff around the house and garden, going for a walk (although I’m conscious of the strange looks I might get) or driving. Moving about while working has got to be healthier than sitting down (or even using a standing desk). This will only be for first drafting, though‌—‌I’ll still use the laptop for editing. But the decreased time for producing that draft will still make the whole process faster. I’m constantly getting new ideas, and I have a couple that could be developed into a new series. If things go well over the first half of the year, I’d like to start serious work on this new series toward the end of 2019. So, five goals for 2019. Of course, I intend to add content to this website every week (alternating posts and short stories), I still want to develop my writing, and there is always more to learn about marketing and the business side of independent publishing. Things will surely happen to disrupt these plans, but I’ll keep you posted on what’s happening, and I’ll give you a summary in about twelve months. ← How was 2018 for me?